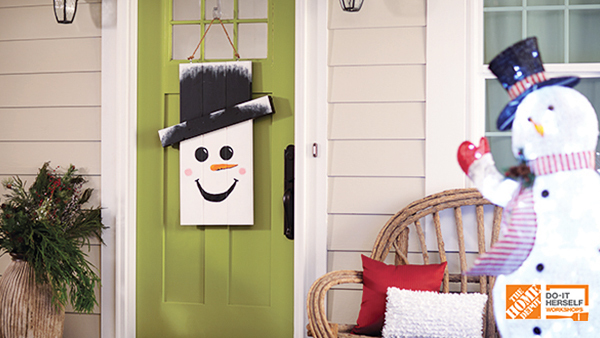 Hello & Welcome to our Home Depot Virtual Online Party! So I gave it some thought….I could do a snowman, Frankenstein, maybe a witch version, a scarecrow, Santa Claus….so many fun ideas! 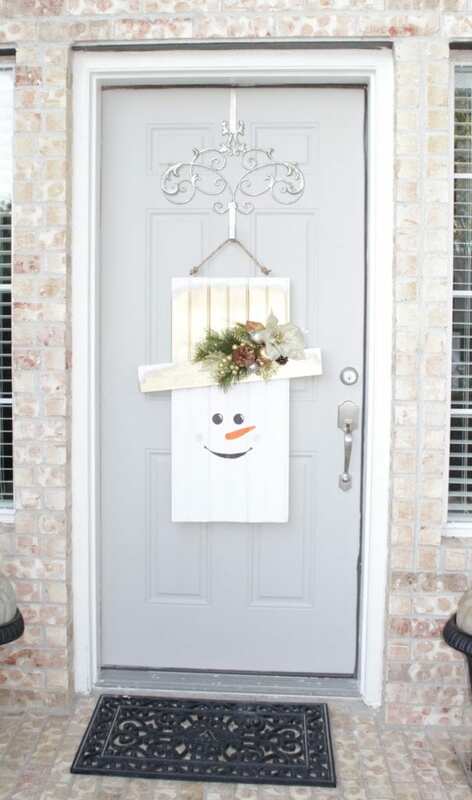 But I sure do LOVE snowmen and thought a Christmas door hanger would be fun. 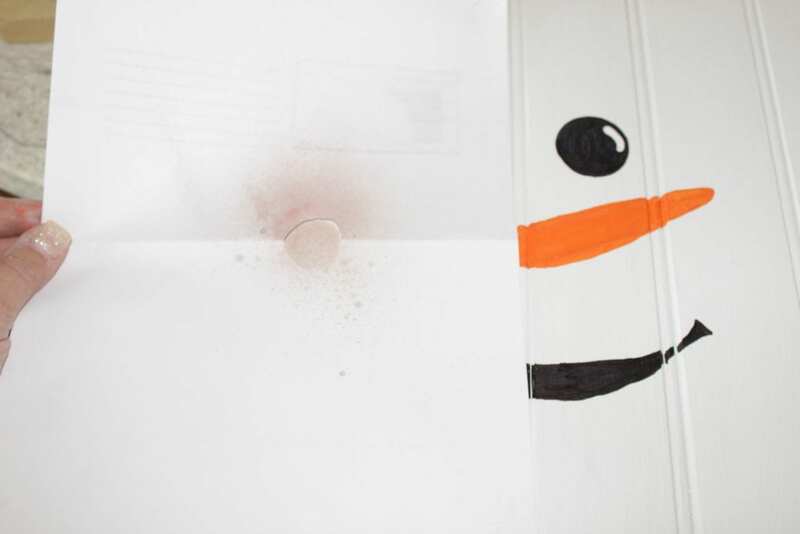 So here is my fancy shmancy snowman I made! Isn’t he adorable?! 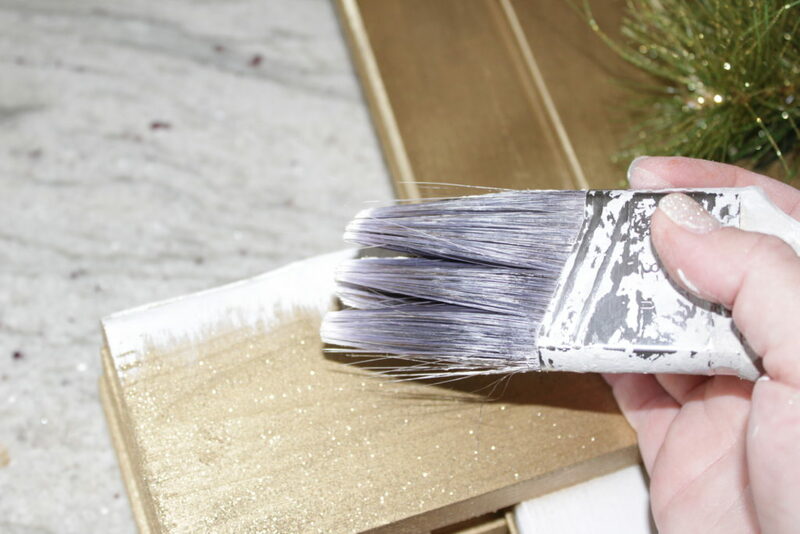 With my Christmas colors I use being golds and silvers and champagnes and white….I thought the gold would be super stunning against my grey front door. 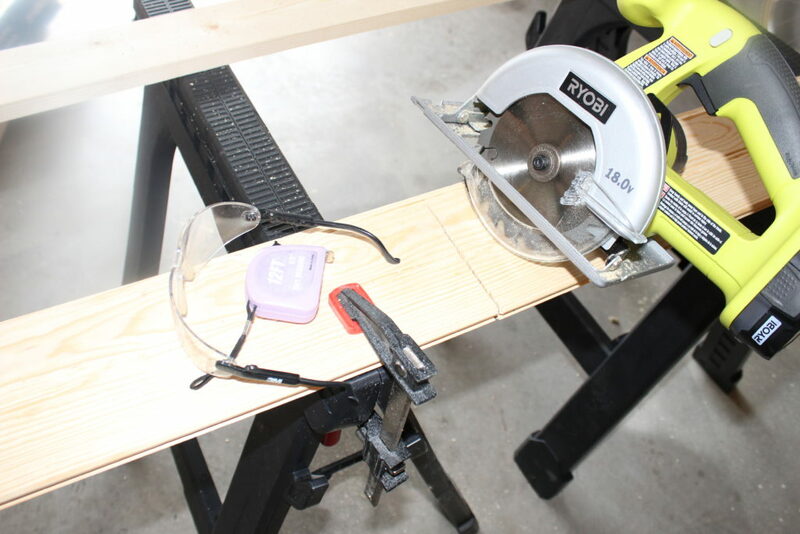 I measured twice, cut once (even a beginner can do this simple project! 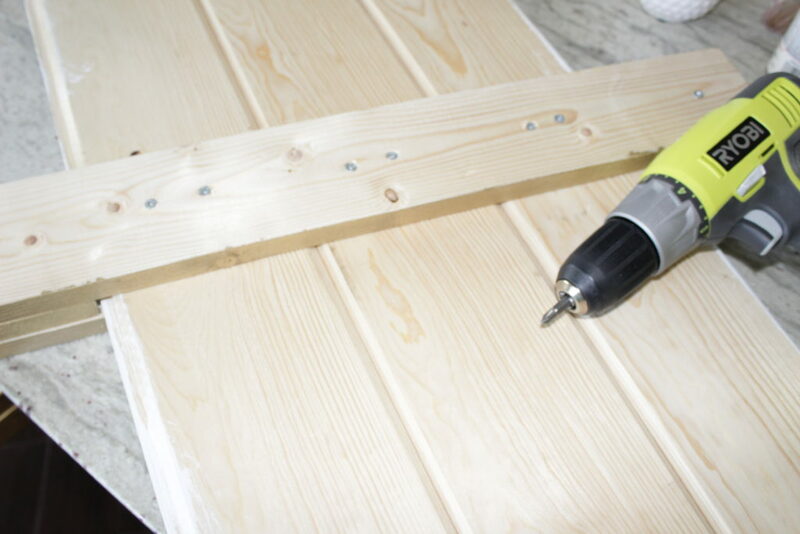 ), and glued these wood panels together. I painted it all white…. Sprayed the top section gold and wood “hat trim” gold glitter…. 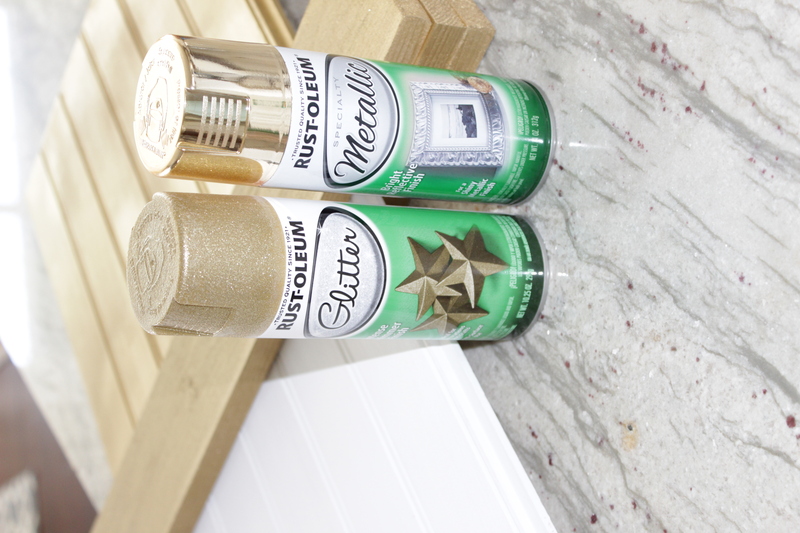 Here are the exact ones I used and this is my FAVORITE gold spray paint! The others are all either too dull, too bronze or orange looking, or take forever to dry. 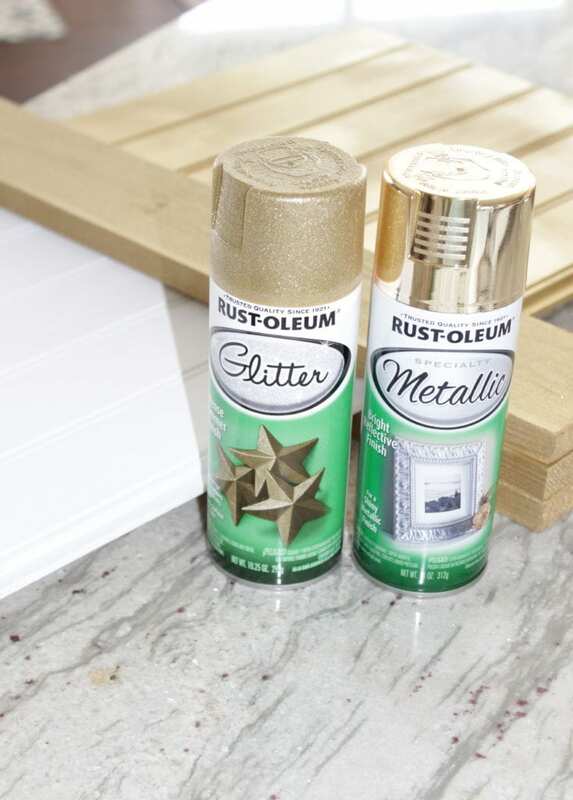 I use this Rustoleum metallic gold on EVERYTHING in my home. This, and all products used, can be found at The Home Depot. I used white paint to dry brush some faux snow on the brim and top of the hat and stippled some paint as well, for a more 3D effect. 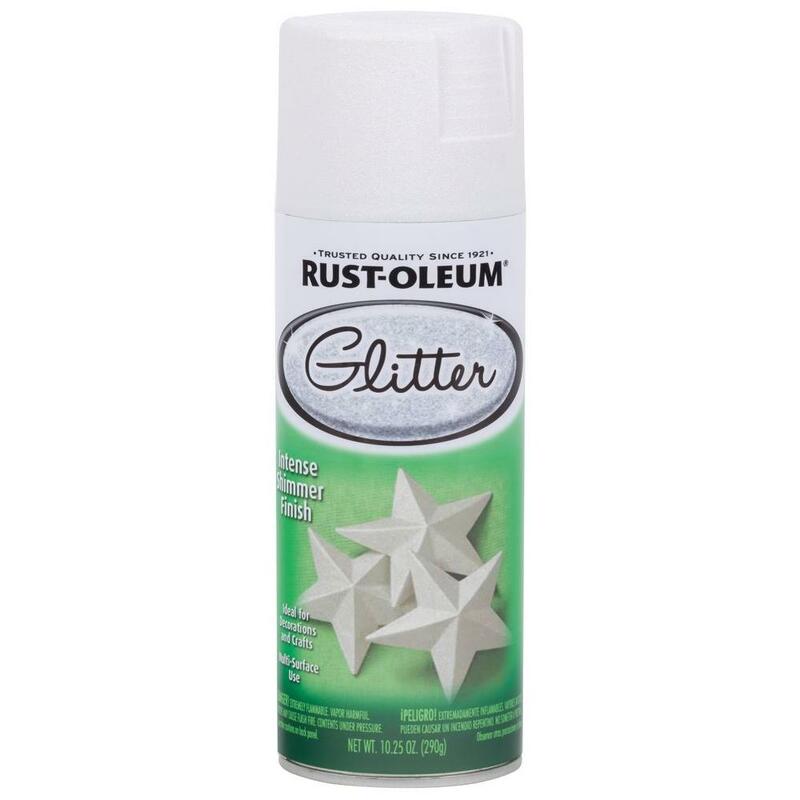 I used this Rustoleum white spray glitter directly on top of the “snow” to give it more glistening effect. I used a hot glue gun to attach these adorable embellishments. I found the gold poinsettia flower stem at the Home Depot in the Christmas section that arrived just on time for my project. 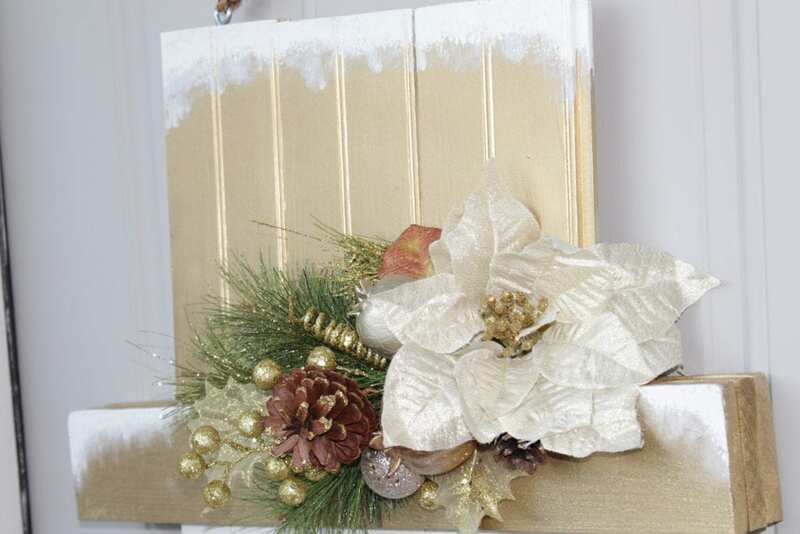 I also found this Martha Stewart Christmas spray there as well. Putting them together made it the perfect fancy embellishment I was looking for! 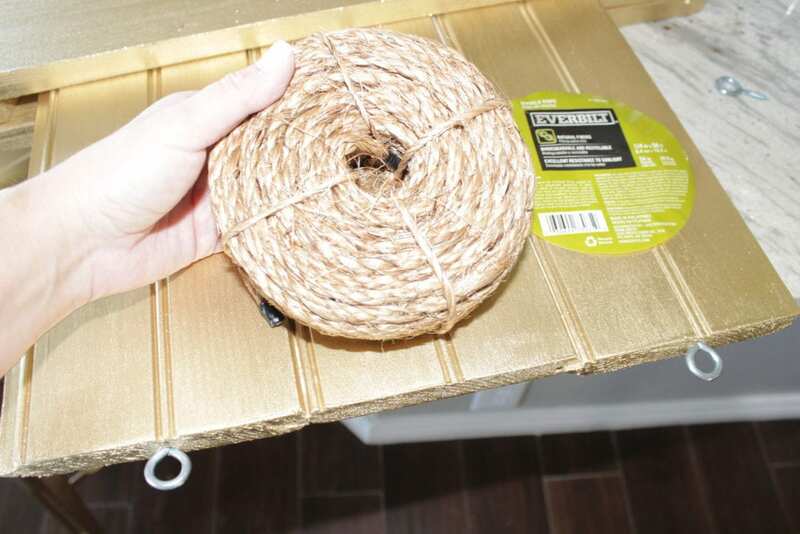 I attached the eye hooks and rope at the top…. …and then started creating a cute little face, free-hand, and filled it in with a black Sharpee marker and orange acrylic craft paint. 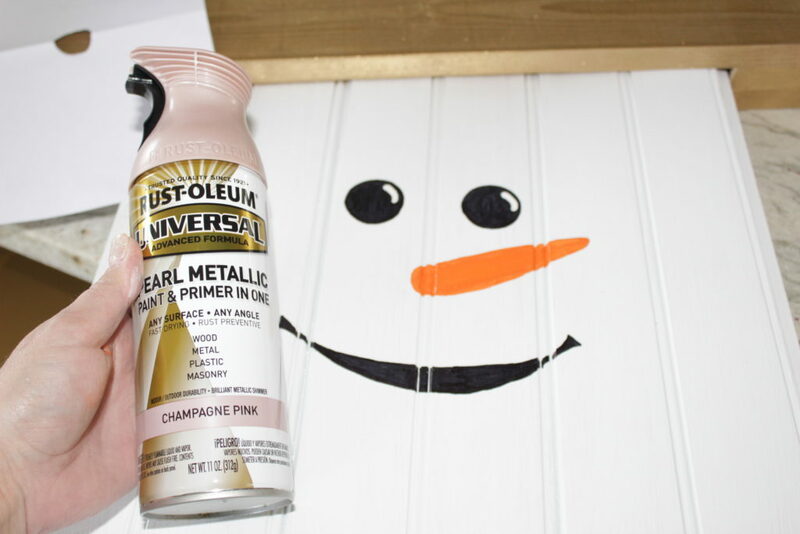 For the cheeks, I used this fun Rustoleum Champagne Pink that is new (I’ve been dying to use it on something). I cut out a circle from a piece of paper, laid it on top of the cheek area, and sprayed a few quick times for the perfect rosy-cheek effect. 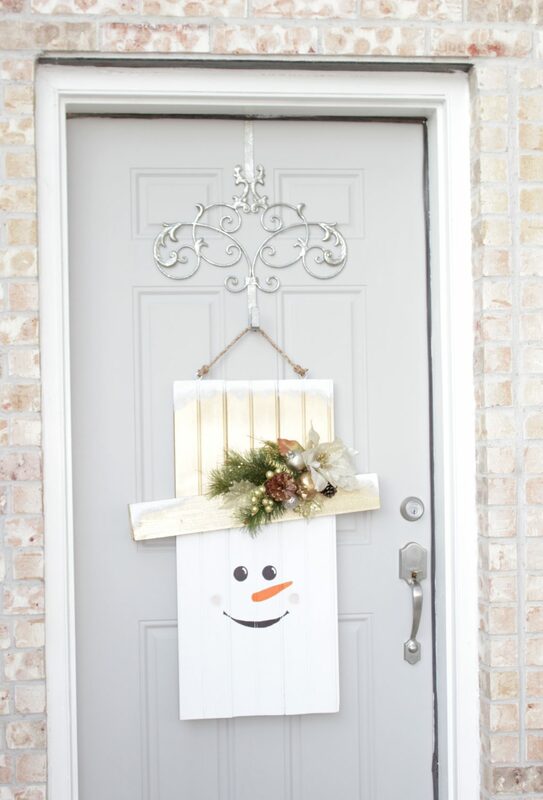 You should’ve seen the look on my kids’ faces when they came home from school to see this cute face on our door! They LOVED it!!! And….they think I’m pretty awesome for building it all by myself. Now, it’s YOUR turn! 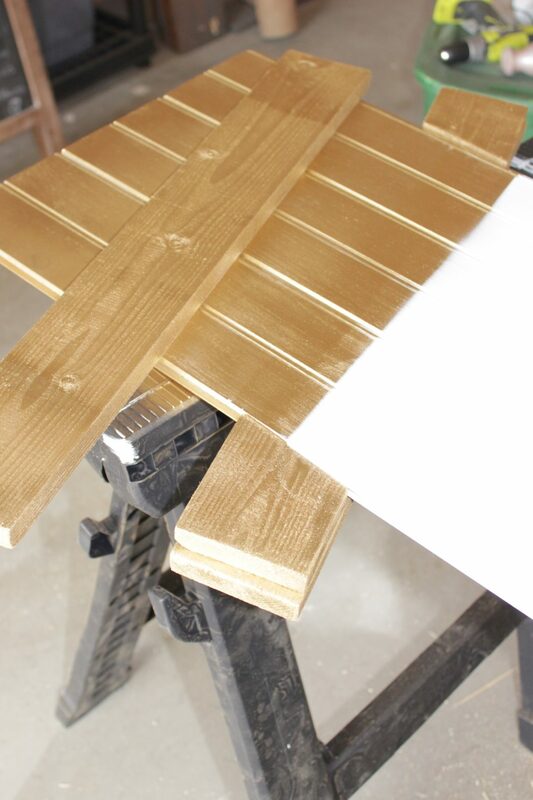 You can register HERE for this Home Depot DIH Workshop at your local Home Depot store! The Home Depot provides FREE WORKSHOPS at all their locations for do-it-yourselfers of all ages and levels of experience! 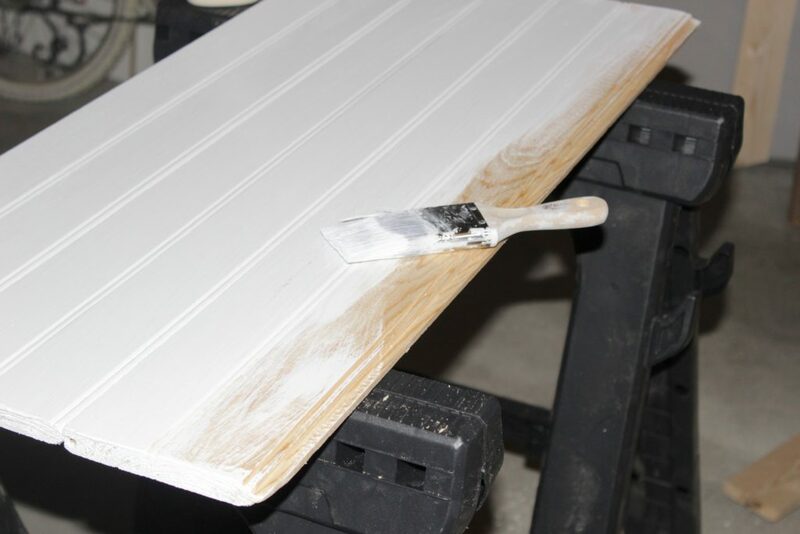 You can learn how to build decor projects, how to make easy home repairs and how to operate tools through demonstrations and step-by-step instructions! I’m headed to Home Depot to find some potted outdoor Christmas trees to go on either side of my door in front of these windows. I ACKNOWLEDGE THAT THE HOME DEPOT IS PARTNERING WITH ME TO PARTICIPATE IN THIS PROGRAM. AS A PART OF THE PROGRAM, I AM RECEIVING COMPENSATION IN THE FORM OR PRODUCTS AND SERVICES, FOR THE PURPOSE OF PROMOTING THE HOME DEPOT. 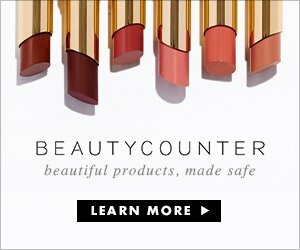 ALL OPINIONS STATED ABOVE ARE MY OWN AND MY EXPERIENCE WITH THE BRAND AND ITS PRODUCTS. You had me at Gold top hat! SO darling! Hi Natalie! Omgosh thank you so much! This is so fun! Making my way to yours and can’t wait! xoxo! This is so cute! I love the gold hat and the garland in his hat! Vanessa, thank you soon much! I appreciate you stopping by! It turned out so beautiful Summer…..great job! Awww thank you soooo much Alicia!!! You’re always so supportive and I appreciate yoU! xoxox! Wow!!!! That was so much fun to see all the different door hangings! !! Amazing job! Love it!!!!! 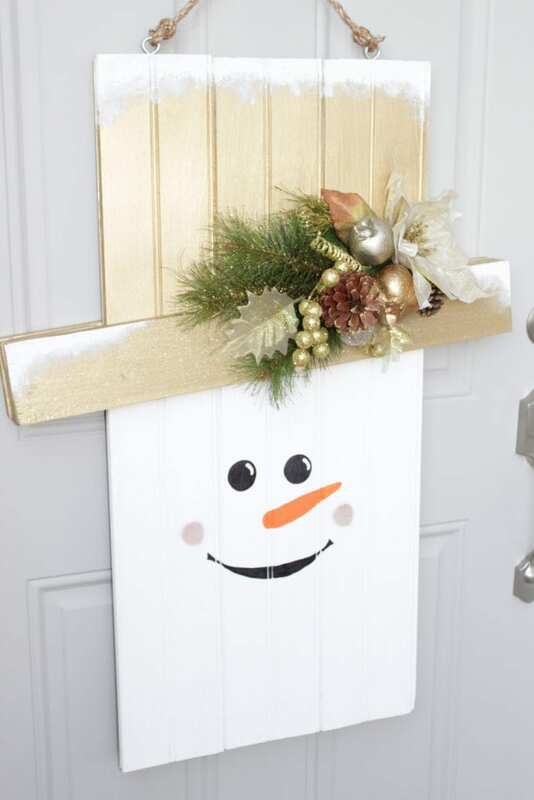 Love this glittery version of the snowman! Looks great!